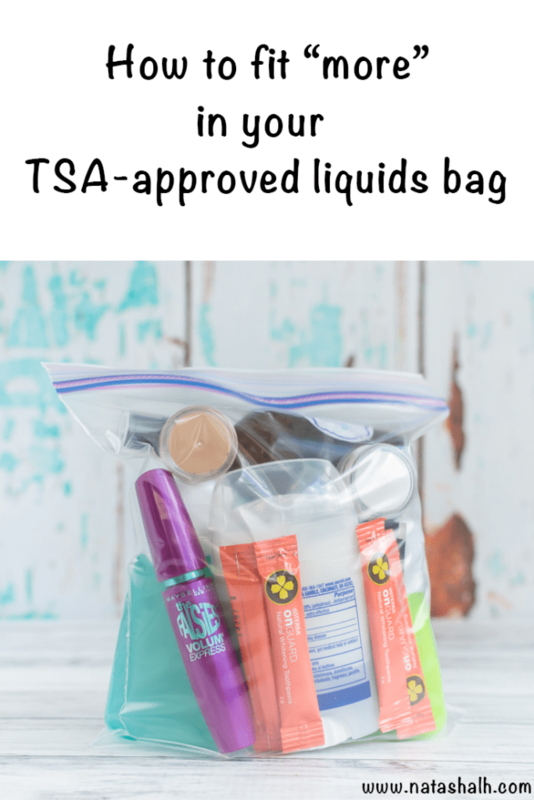 Discover how to fit liquids in a quart bag to bring the maximum carry-on liquids in your TSA-approved liquids bag! On some trips, the liquids you need can determine whether you’re able to travel with only hand carry or must check a bag. I avoid checked bags whenever possible because they’re expensive, take more time to deal with, and I assume that anything I check will be lost or damaged. I am a firm believer in traveling with only carry on bags whenever possible, and I’ve even started paying the extra few dollars for priority boarding to make it less likely I’ll be forced to check my bag at the gate. 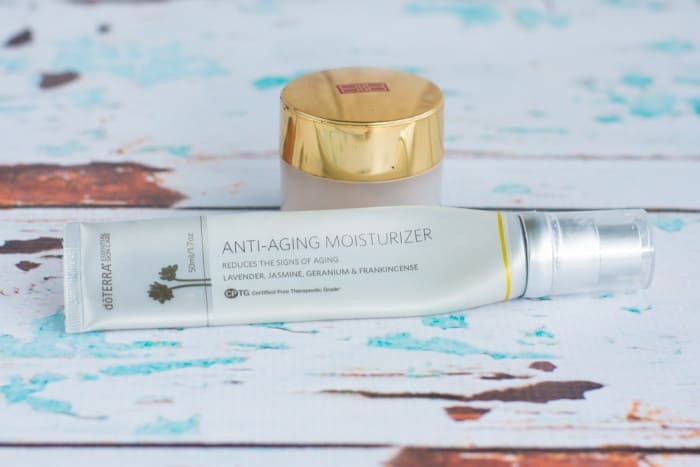 Carry on liquid restrictions can be problematic, especially for women and on longer trips. That’s why today I’m going to show you how to pack your carry on liquids bag so that you can fit more in your TSA approved liquids bag! The overall size of your liquids bag is limited to one quart (this is true in almost every country today), but how you pack it has an enormous impact on what you’re able to bring in your carry on bag. 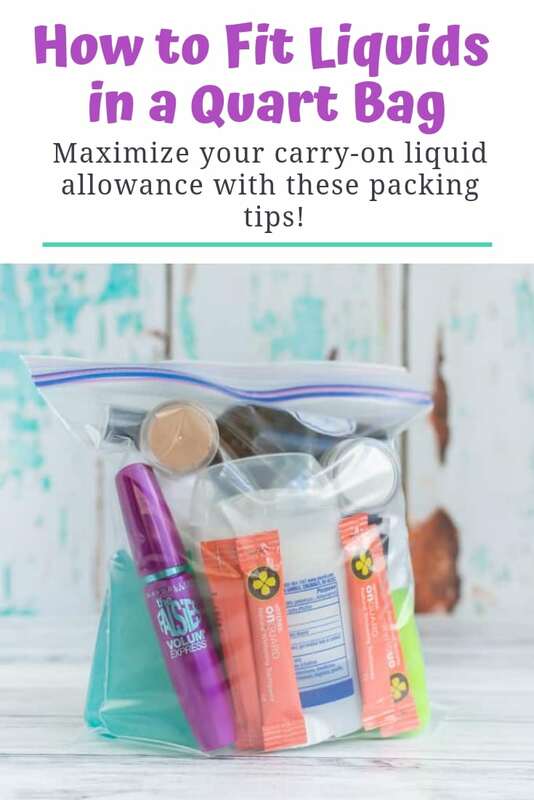 In this post I’m sharing my very best space-saving tips on how to pack your carry on liquids bag to help you avoid checked bags. Although some of these tips are probably old news to experienced travelers, I have a few new ones to add. There are a lot of links in this post. Some of them are informative, but many of them link to specific products on Amazon. 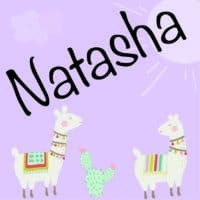 These are almost all products I have personally used and I’m happy to answer questions about them. Leave me a comment! First, I’d like to clear up a misconception a lot of people in the US seem to have about the liquid restrictions. The rule is actually not that each bottle must be 3 oz or less. TSA calls it the 3-1-1 rule because it’s catchy, but each bottle can actually be 100ml, which is 3.4 liquid ounces. Isn’t that nice to know? The second thing I’d like for everyone to know is that, yes, all you liquids have to be in a clear plastic zip top bag. Lots of people wonder if your liquids have to be in a ziplock bag. It doesn’t have to be a “ziplock” bag like you’d put in your freezer. 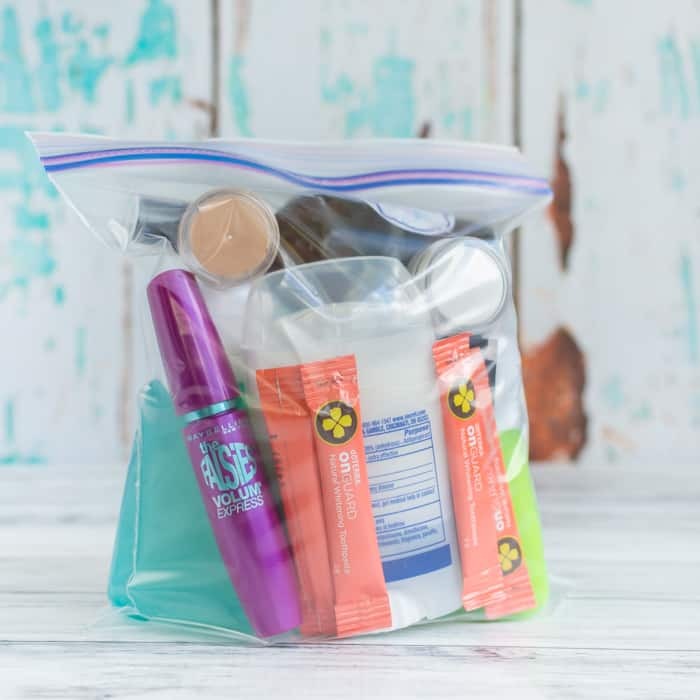 You can use a more durable, reusable TSA approved toiletries bag. Either way, your liquids all have to fit “comfortably” in a clear, zip top bag. It can’t be bursting open! Now on to the first tip! Everyone knows about “travel size” bottles, right? A lot of different lotions, shampoos, conditioners, toothpastes, etc have ready-packaged, TSA-compliant bottles of product available for a dollar or two. They’re a great place to start if you want to travel with a carry on instead of all your full sized bottles in a checked bag. However, as a general rule, I do not run out to buy lots of travel sized items when I’m planning a trip. Why not? Prepackaged travel sizes are far more expensive by volume. Even though many products are available, you can’t get everything in a travel size. Many of these travel size bottles are still unnecessarily large. Most travel sized containers are designed to be disposable/single use, which means you’ll be stuck buying more again soon and throwing away extra (plastic) trash. Save your last travel sized bottles if they’re still in good shape and are refillable. Refill them and use them again! 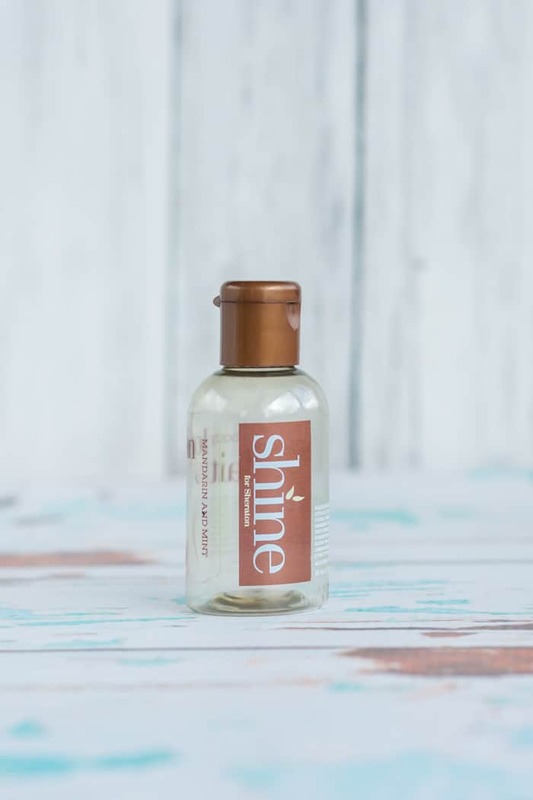 Check to see if the lids come completely off any of the little hotel-provided shampoo/conditioner/lotion bottles and, if they look refillable, take the ones in your room with you when you check out. Not all hotel bottles are refillable, and these ones are really designed to be disposable, so they’re not the greatest option. This is, however, very cost effective! Just try to refill the bottles with like products – you probably don’t want lotion residue in your shampoo. Buy some reusable travel sized bottles. For a long time, I used some cheap-y plastic ones, but they started to break and were still kind of too big. Although they are more expensive, silicone bottles are far more durable and come in a variety of sizes, so they’re now my go-to travel bottles. I like the Go Gear assorted sizes because, well, they’re assorted sizes! I can pack my conditioner in the biggest one and shampoo in the smallest. Plus, they’re dishwasher safe, which is pretty cool. 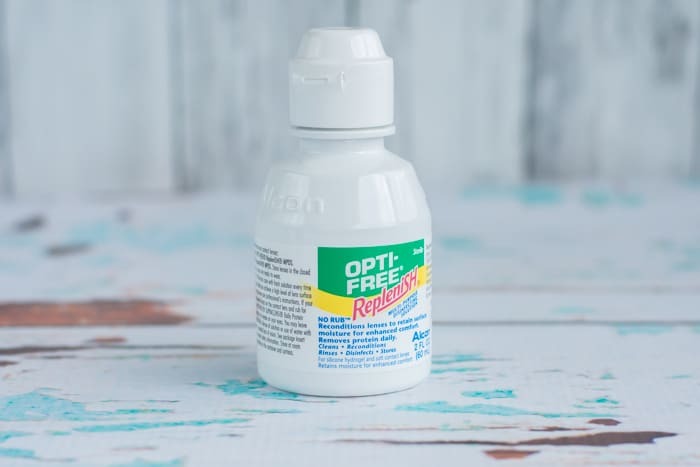 I do not recommend repackaging things like contact lens solution that need to be sterile. Just pack your travel size, instead! Understand that you don’t need to bring something in its original package just because it is technically allowed. Many women use facial lotion and foundation, and a lot of these containers are 100ml or less. 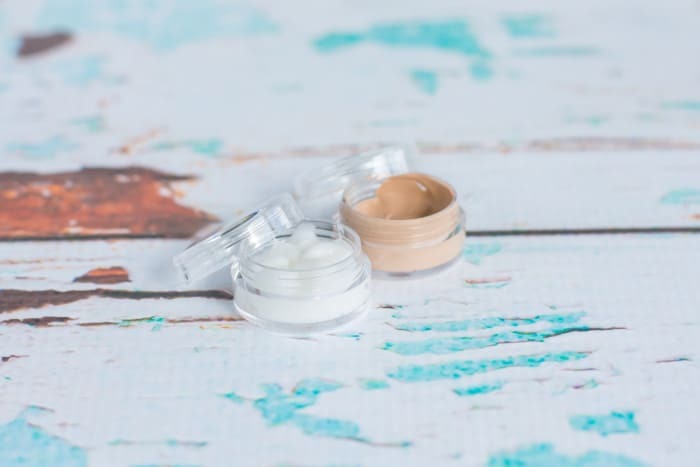 Think about it – will you use that entire container of foundation on your trip? That whole thing of facial lotion? Probably not. 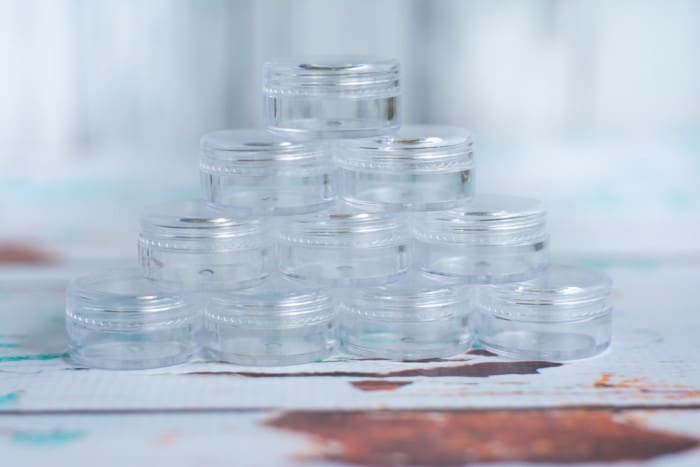 I purchased a set of 25 5-gram containers on Amazon very inexpensively. They also come in slightly larger and slightly smaller sizes, so you can pick out whatever size you need. They’re clear, so it makes it really easy to tell the lotion apart from the makeup and the lids screw on instead of pop off. They can also be a good choice for things like face wash and hair gel. Food grade silicone - safe and non-toxic! Simply transfer a portion of your liquids from their original container to the tiny container and you’re good to go! They make little spatulas specifically for this purpose that help you transfer things like foundation without using your fingers and potentially contaminating what you’re trying to move. The same goes for essential oils. 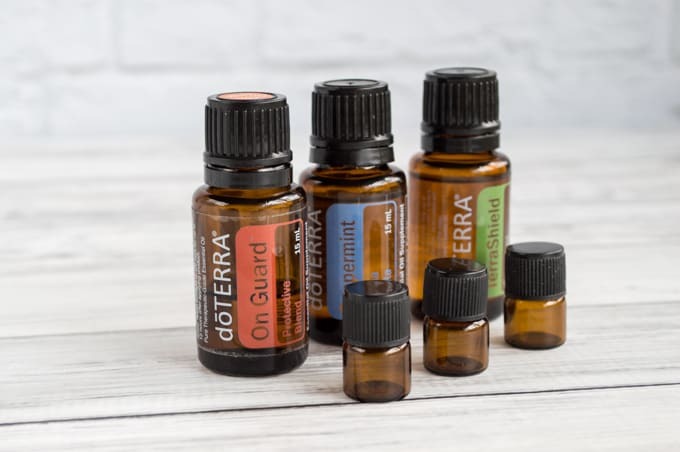 I know lots of people love to travel with their essential oils, and all this bottles are legally-sized. Once again, you probably don’t need the whole container on your trip. Consider picking up some little “sample size” bottles and transferring what you need with a pipette. Have you ever used conditioner as shaving cream? It tends to work pretty well. 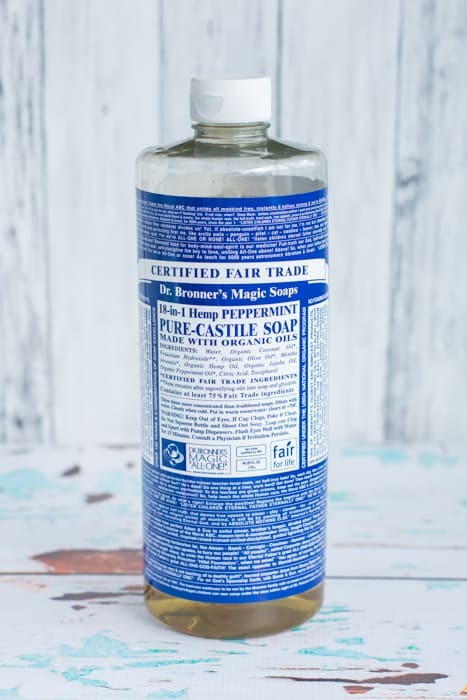 Dr. Bronner’s Soap is a great example of a multi-use liquid. You can use it as shampoo, body wash, or even to wash your clothes! Plus it smells pretty awesome. I used to use peppermint, but they also make lavender, tea tree, and more. I had a (literally) Costco-sized bottle of peppermint, so I just transfer some of it to one of my handy silicone bottles. Now that I have a child, I prefer to use the unscented Dr Bronner’s Baby so everyone can use it. Go smaller than travel size. 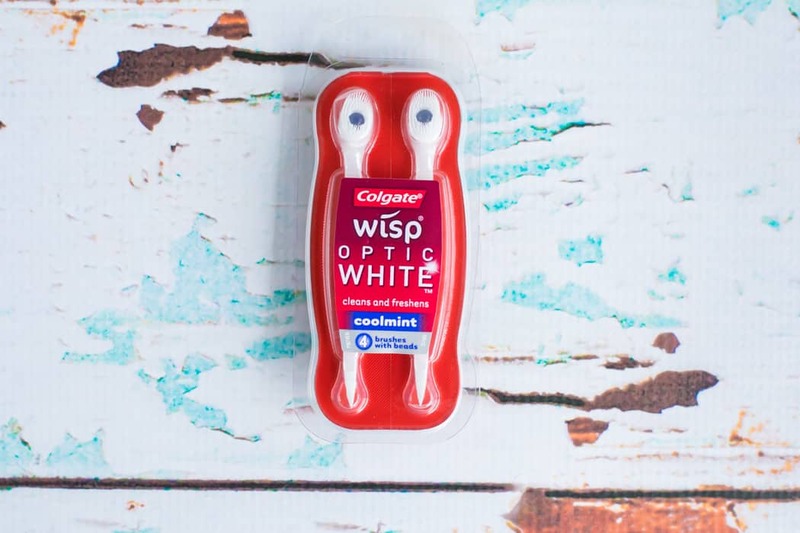 Travel sized toothpaste is very easy to find, but for a shorter trip why not consider toothpaste packets? They’re frequently billed as “single use,” but they tend to have enough toothpaste for two or three brushings. 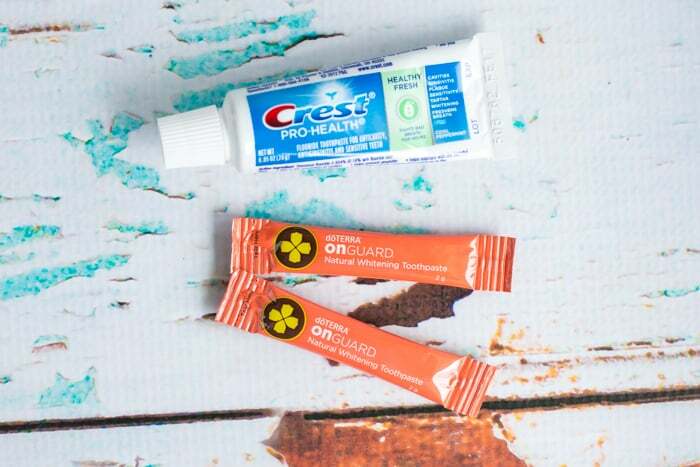 If you can’t find any locally, try Amazon for products like Grant’s of Australia toothpaste sachets or look for DoTerra OnGuard sample packets. I know marketing has done a great job of convincing us body wash is awesome, but it’s a liquid and a bar of soap isn’t. There are also some very nice shampoo bars available, like the J.R. Liggett bar shampoos. I always, always bring hand sanitizer on planes with me, but I frequently choose hand sanitizer wipes instead of liquid bottles. Okay, who am I kidding – I actually usually bring both, but the hand sanitizer liquid is one of the first things I remove if I’m running short on space! You can get individually wrapped wipes, like these ones from Purell, or larger containers like these Germ-X wipes. If you think I’m being paranoid, check out this recent article on how dirty airplanes are. It repeatedly recommends sanitizing your tray table before you use it! Especially for shorter trips, I also love using those single use toothbrushes instead of traditional toothpaste. Evaluate whether you need it or want it. Do you really, truly need that hairspray, gel, mousse, etc? Maybe you’re going to an important business meeting and you feel that it really is necessary. Or maybe you’re staying in hostels and you really want to earn a reputation as a “flash packer.” In my opinion, if you’re going backpacking, trekking, to the beach, on an amusement park vacation, etc., maybe you don’t need products like these. As someone who’s lived near the ocean for much of my life, I can assure you the humidity is probably going to wreck whatever you just did with your hair. And, trust me, the fashion police don’t stay at backpackers’ hostels. If you really need some hair product, consider transferring some pump (not aerosol) hair spray into a reusable glass spritz bottle. Leave it and find something at your destination. This tip is last on the list for a reason – I’d personally rather not be running around buying things I already owned and simply left at home. Here in America we’re accustomed to hotel shampoo and conditioner freebies and, depending on where you stay, they can be perfectly usable. If you’re staying in more budget accommodations, guest houses, or in another country, you might not be able to expect complementary toiletries and will have to go buy anything you didn’t bring. As I said, I’m not big on buying things I already own just for the fun of it! With that in mind, if the choice comes down to check a bag or buy shampoo once I arrive, I’m going to go with buy the shampoo. One final tip to make your life with carryons and liquids even easier – make sure you are absolutely ready to be screened as soon as you hit the front of the TSA checkpoint line. Have your 3-1-1 complaints liquids bag out and ready (I like to carry mine either on top of my bag or at the very top so there’s no digging around) and have your shoes either in hand or ready to whip off. This post deals exclusively with making the most of your carry on bag of liquids. 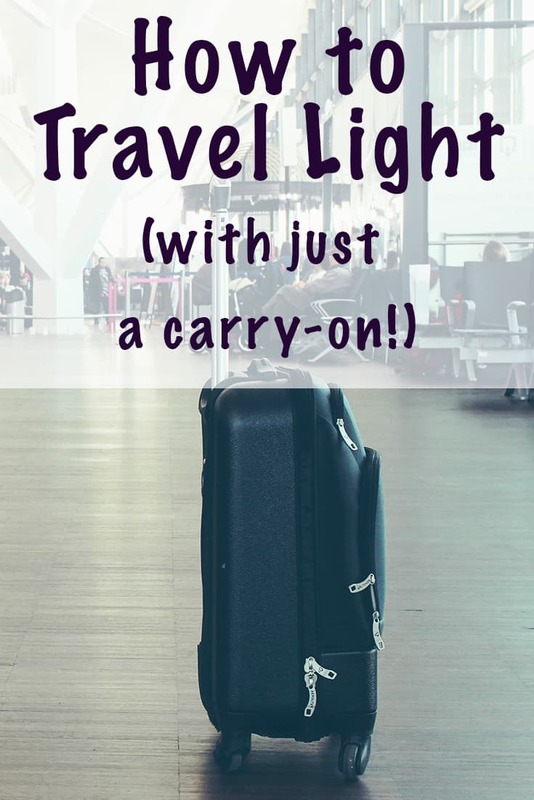 If you need more tips for how to pack your carry on/hand carry luggage, please stop by my post filled with packing light tips! Traveling with just a carry on not only helps keep your items safe, but it can also save you quite a bit of money. The first time I flew to Hawaii, I purchased a new carry on bag because it cost less than checking a bag both ways! 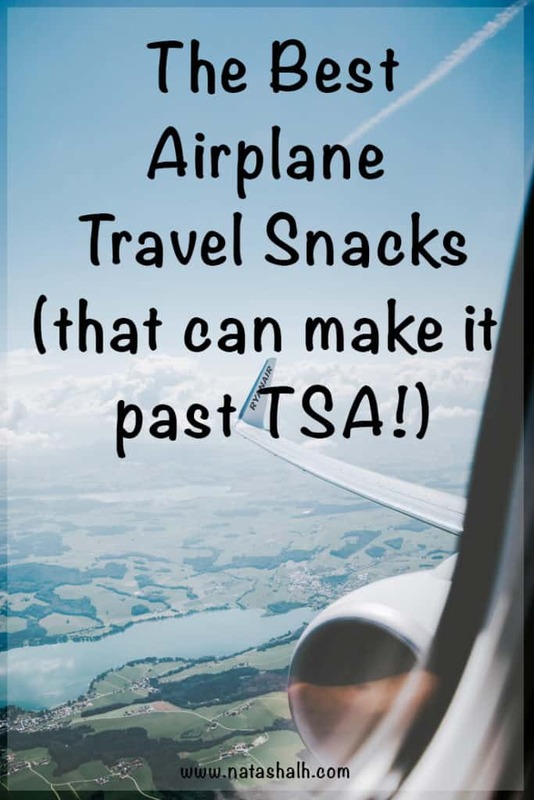 If you’re trying to figure out what can and can’t make it past the TSA checkpoint, you may also enjoy this post on the best travel snacks for airplanes that will make it past TSA! Remember to Pin this post now to your trip/travel board so you don’t lose track of it! That sounds awesome! I haven’t seen those before – I’ll have to keep an eye out for them! Thanks for the tip! I didn’t know about the bar conditioner – that sounds really handy! Previous post: Pre-Workout Cottage Cheese Oatmeal Protein Pancakes – No Protein Powder!